DOGS IN STREETS AIMS TO HELP AMAZING PEOPLE THAT ARE TAKING ACTION AGAINST THIS HORRIFIC SITUATION. IT IS OUR WAY TO TELL YOU WHAT WE SEE WHEN WE VISIT COUNTRIES WITH A LOT OF STREET DOGS. WE GO THERE TO MEET AND FIND TRUSTWORTHY PEOPLE WHO HAVE DEDICATED THEIR LIVES TO SAVE AND HELP DOGS IN NEED. THROUGH DOGS IN STREETS WE TRY TO SUPPORT THESE RARE GREAT SOULS THAT ON A LOCAL SCALE REALLY MAKE A DIFFERENCE. DOGS IN STREETS ALSO WANTS TO RAISE AWARENESS OF HOW BAD IT IS OUT THERE FOR THE STRAY DOGS. 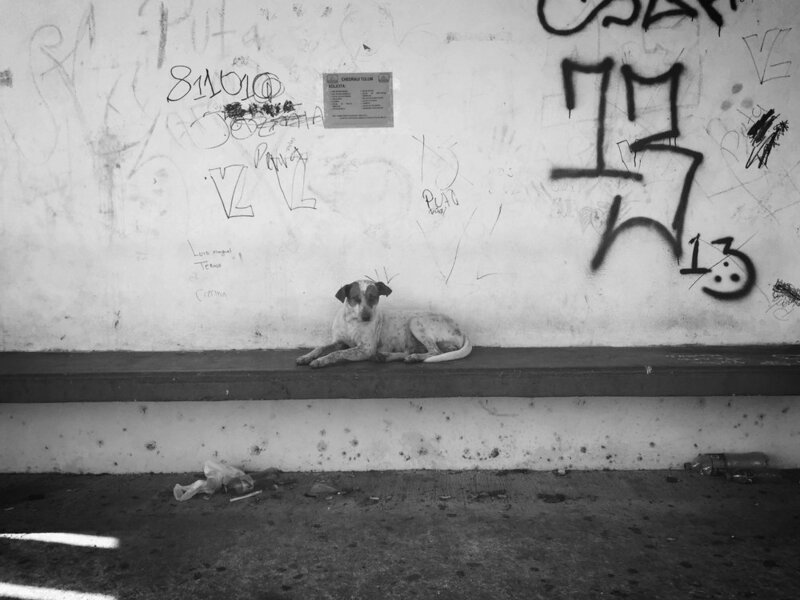 PROCEEDS OF ALL ERRO SALES GOES DIRECTLY TO SUPPORT STRAY DOGS. ERRO IS CURRENTLY SUPPORTING ZARKOVICA SHELTER IN DUBROVNIK. 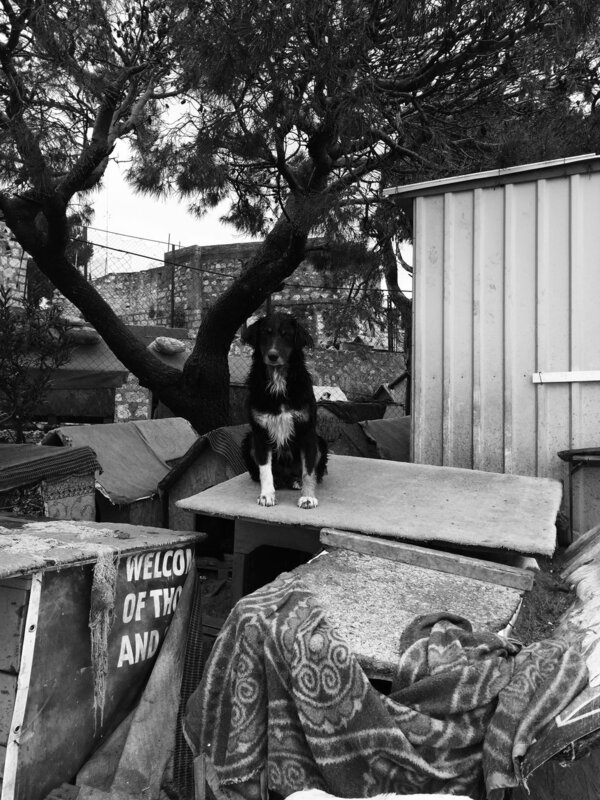 THE ZARKOVICA DOG SHELTER IS SITUATED OUTSIDE OF DUBROVNIK, CROATIA, AND IS HOME TO MORE THAN 350 ABANDONED DOGS. SANDRA SAMBRAILO HAS DEDICATED HER LIFE FOR THE PAST 13 YEARS TO CARE FOR THESE DOGS AND FIGHT FOR THEIR SURVIVAL. THE SHELTER IS LOCATED ON THE TOP OF A HILL, IN THE RUINS OF AN ANCIENT FORTRESS, MAKING IT EXTREMELY VULNERABLE TO STORMS AND OTHER EXTREME WEATHER CONDITIONS. ON TOP OF THAT THERE IS NO RUNNING WATER NOR ELECTRICITY AND MOST OF THE DOGS LIVE OUTSIDE. THE CONDITIONS OF LIFE AND WORK ARE THEREFORE EXTREMELY DIFFICULT. DAY AFTER DAY, SANDRA IS CARING FOR THESE DOGS, WHICH INCLUDES CARRYING HUNDREDS OF LITERS OF WATER TO EVERY BOWL, DOZENS OF HEAVY FOOD SACKS TO FEED ALL THE DOGS, CLEANING ALL THE DOGS' WASTE AND IN THE MEANTIME GIVE HER LOVE AND AFFECTION TO THE DOGS. SOME DOGS REQUIRE MEDICATION, WHILE OTHERS LIKE PUPPIES REQUIRE SPECIAL FOOD AND CARE. THERE ARE ALSO THE OLD AND SICK DOGS. IT IS SUCH HEAVY WORK THAT THIS INCREDIBLE PERSON IS DOING FROM THE BOTTOM OF HER HEART. SANDRA IS ALWAYS PRESENT AT THE SHELTER, SLEEPING IN A CONTAINER TO MAKE SURE THAT THE DOGS ARE SAFE DURING THE NIGHT. ALL THE WORK IS DONE BY HERSELF ONLY WITH THE HELP OF ONE WORKER, PAID FOR BY SANDRA THROUGH DONATIONS, AND OCCASIONAL VOLUNTEERS. 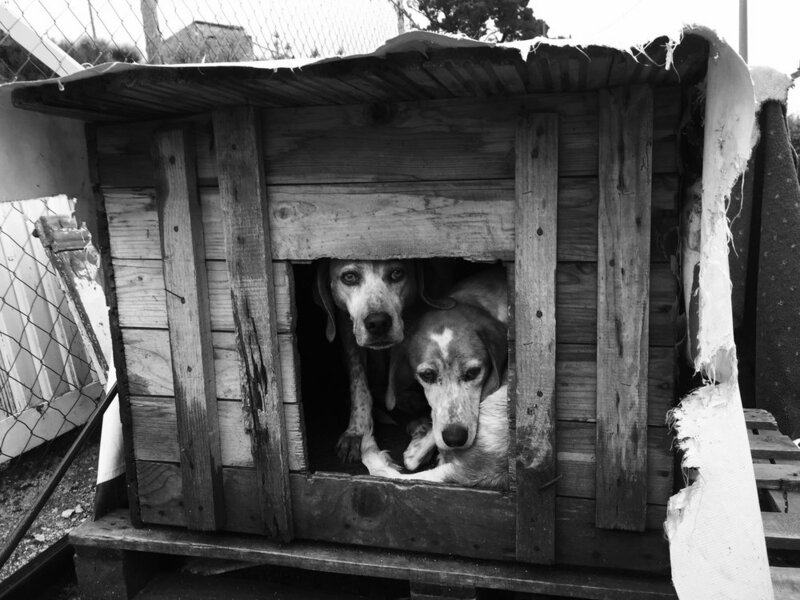 THE CITY OF DUBROVNIK HAS FOR MANY YEARS PROMISED TO HELP MOVE THE DOGS TO A PROPER SHELTER WITH RUNNING WATER, ELECTRICITY AND BETTER CONDITIONS. BUT NOTHING HAS SO FAR BEEN DONE. LET'S SEE WHAT THE FUTURE HOLDS. THIS IS A SHELTER THAT WE SUPPORT AND VISIT REGULARLY TO TRY TO GIVE SANDRA A LITTLE HELP WITH THE HEAVY WORK.